Last year’s LEEP campaign participants and award winners added roughly 65 million square feet of high-performance lighting in parking facilities and achieved an estimated 60 percent in energy savings. From military bases to residential housing complexes, hospitals to major retail chains, real estate developers to universities, the 2016 award winners represented the best new projects and retrofits in parking facility lighting across the United States. 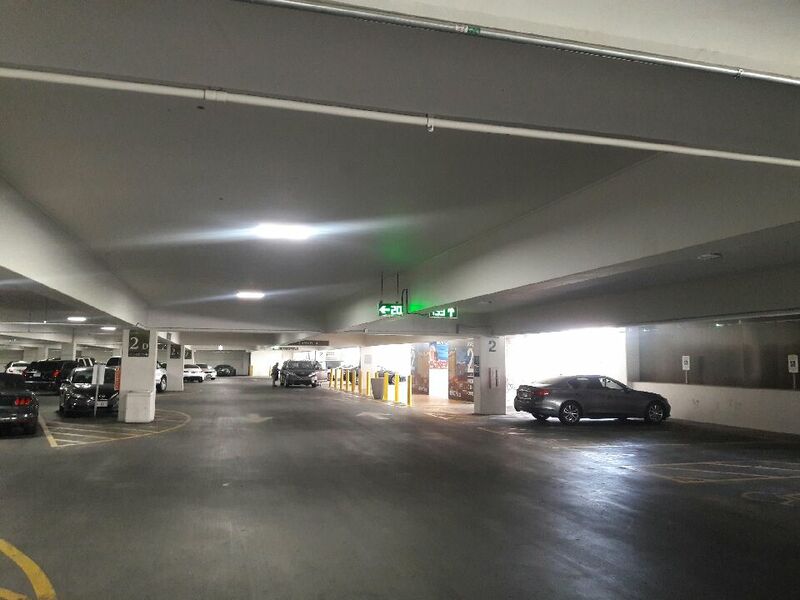 Through a combination of new equipment, proper lighting design and the use of automated controls, the 2016 LEEP facilities experienced major energy savings in their parking lots. Let’s check out some of the success stories. In 2016, The Wendy’s Company embarked on a company-wide effort to reduce energy by upgrading more than 150 parking lots. Through replacing high- and medium-wattage metal halide with low-wattage LED and controls, Wendy’s managed to reduce energy by 14 percent per transaction. In one parking lot, for example, Wendy’s saved more than 150,000 kWh and more than 80 percent of the energy compared to the original installation. For its efforts, the company was awarded the Highest Percentage Energy Savings in a Retrofit at a Single Parking Lot and Largest Absolute Number of Facility Upgrades awards. The 154 sites for which Wendy’s submitted detailed data encompassed the single largest number of facilities upgrades in 2016 by any LEEP participant. Over the course of the LEEP campaign, Arby’s converted 216 of its facilities, and in 2016 alone, Arby’s installed new lighting at 126 parking facilities. Arby’s has consistently installed new lighting and relighted to address its needs and to save a significant portion of energy at each of its facilities with new lighting. The company is demonstrating leadership in the quick-service market for their parking savings. By converting high-wattage probe start metal halide to low-wattage LED at their North Meridian store, Arby's was able to save 89 percent of the energy (54,000 kWh) compared to the original installation, and was awarded a Highest Percentage Savings in a Retrofit at a Single Parking Lot award in 2016. The University of Minnesota, a longtime participant in the LEEP campaign, was recognized with multiple awards in 2016 for energy-saving efforts at two different parking structures. The university saved over 1 million kWh at its East River parking structure and more than 90 percent, compared to the previous installation, at its smaller 19th Avenue facility through replacing medium-wattage, high-pressure sodium fixtures with low-wattage LED fixtures and controls. Since 2014, MGM Resorts International has been upgrading the lighting across its facilities in the U.S. by replacing the lighting for more than 160 million square feet (totaling 49,000 parking spaces). As a result, MGM has saved more than 10 million kWh across its portfolio. These facilities in Nevada, Michigan and other states include both surface parking lots and parking structures. In 2016, the company was awarded a Greatest Absolute Portfolio-Wide Energy Savings award from the LEEP Campaign for its efforts. Interested in participating in LEEP? To participate in the campaign and submit your parking site for consideration for a LEEP Award, please complete the 2017 LEEP Spreadsheet and email it to LEEP by June 16, 2017.